Here to answer questions about starting, buying, growing, or selling a business and provide additional resources and experts to help along the way. 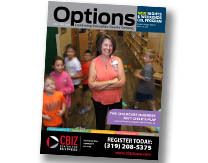 America's SBDC Iowa provides no cost, confidential one-on-one counseling to business owners. Our counseling services are personalized and designed to fit the unique needs of every business. Click here to request counseling services. Visit our website to download business plan templates and articles.